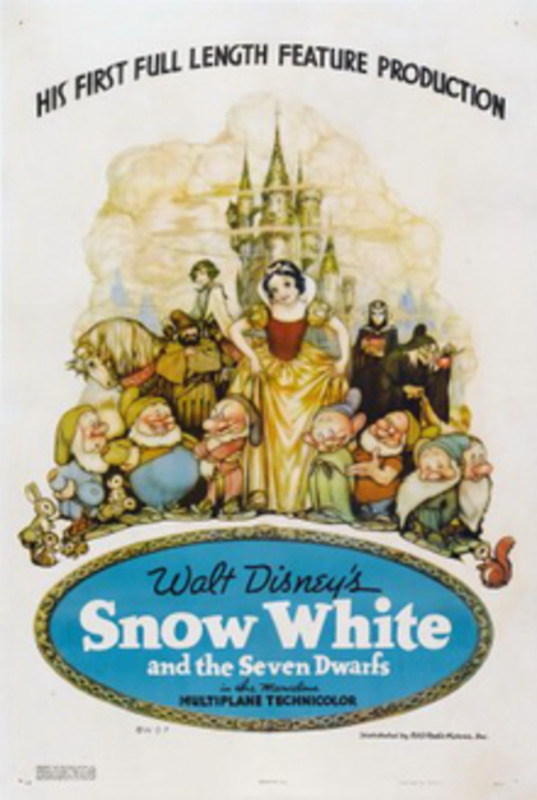 You know the fairy tale of “Snow White and the Seven Dwarfs,” right? 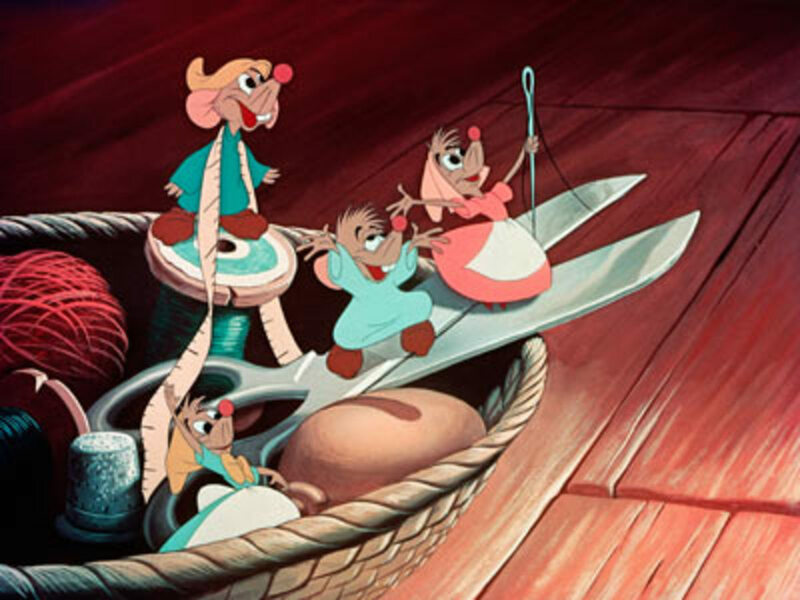 But little has been written about the personalities of the Seven Dwarfs. I will remedy that right now. If you read my “Interview with Snow White,” you are aware that her evil stepmother tried to murder her because she was jealous of her beauty. 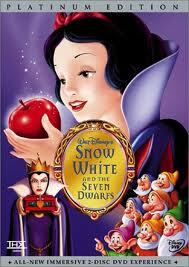 The Seven Dwarfs sheltered Snow and the Handsome Prince rescued and married her, and they lived happily ever after. But what about the Seven Dwarfs? Did they, too, live happily ever after? Read on and I will share what I have learned. I was alone in my office as my entire workforce (one part-time employee) had left for the day. There were seven knocks on my door and the door opened. I looked out over my desk but did not see anyone. Then I lowered my gaze two feet and there stood seven small men about three feet tall dressed in vintage, little people clothing. Yes, you guessed it. The Seven Dwarfs had paid me a visit. me – Come in, come in. I have heard a lot about you. It is my pleasure to meet you all in person. Please sit down. What can I do for you? Doc – I guess I’ll be the spokesdwarf since I’m the oldest. Grumpy – and the bossiest! Happy – Come on now, guys, can’t we all just get along? me – I will be happy to talk with each of you but one at a time. Okay? Doc – Fair enough. We enjoyed your interview with Snow White and we are aware of your background. It was Snow who recommended that we find you. We all have different issues. Grumpy – Speak for yourself, John. Bashful – His name isn’t John. It’s Doc. me – One at a time, remember? Doc – Okay. You remember our names, right? I’m Doc and this is Happy, Grumpy, Sneezy, Sleepy, Bashful, and Dopey. me – So who wants to be first? To explain your problem? Happy – I’ll be first. I don’t know if it’s a terrible problem. I don’t think it is. Most folks would like to be like me all the time. To have my problem. me – Which is … ? Happy – To be happy! And that’s what I am. All the time. Happy – Always! I’ve never had a bad day. To me, the sun is always shining and there are silver linings on all the fluffy clouds. me – So the problem is …? Happy – I make poor choices because I can only see the bright side. Before Jack bought those ‘magic beans’ I offered to buy them first. But Doc explained they were a scam and would not let me buy them. Happy – If Doc hadn’t interfered I would own the Golden Goose and all those golden eggs. But then again, my buddies might be envious and I would not be happy. So I guess all’s well that ends well. me – I think I can help you with your problem. I once treated someone like you who was uni-polar. Never became depressed. It seems that you may be wearing rose-colored glasses. Do you own a pair? Happy – Yes, how did you know? They are my reading glasses but I wear them almost all the time. I keep them in my tunic pocket. me – Let me exchange them for these reading glasses with clear lenses. And promise to wear them just for reading! Doc – That was neat how you figured that out. I would like to be next. me – Fine. And your problem? Doc – I’m a take-charge kind of guy. A team leader, you might say. A general always leading his height-challenged men. But now that I’m older it’s getting tiring. I think I should be less aggressive and let my fellow dwarfs do more of the leading. me – Are you really willing to relinquish that power? Doc – I think I should. My personal doctor, Doctor Oz, says my tendency to always be in the forefront may be affecting my health. me – Doictor Oz from television? me – What health issues do you have? Doc – I don’t seem to get enough sleep even though I'm in bed my usual eight hours. Sleepy – Funny, I don’t have that problem at all. Doc – Wait your turn, Sandman. And when I sleep, I am constantly awaking. My sleep is interrupted so I’m tired every morning. me – Do you snore? Grumpy – Doc snores so loud every night it makes Zeus, the God of Thunder, jealous. Doc – It’s never bothered me. me – That seems to explain your awaking so often. Does your pajama top have a pocket? me – From now on, every night before you go to sleep put your pajama top on backward and put this tennis ball in it. Doc – Then I will have to stop sleeping on my back! me – That’s right! And your snoring should also diminish. Who’s next? Grumpy – Might as well be me so I can get it over with. me – And your problem? Grumpy – Truth is, I don’t have any problem. It’s these other dwarfs who have a problem. They are always singing and dancing and joking and laughing. Gets on my nerves. me – Just wonderin’ – is Grumpy your given name? Grumpy – No, my mother named me Marmalade. Other dwarfs (together) – Marmalade? Grumpy – Yeah, you wanna make something of it. Put up your dukes and wipe those silly grins off your faces. me – Actally, Marmalade means something very sweet. Your mother must have been very fond of you..
Grumpy – She was. I was an only dwarf. 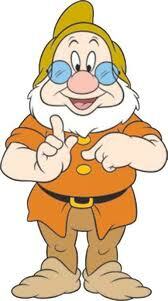 But the other dwarfs at Zwerg Schule (dwarf school) were always teasing me about my name. Called me Jelly Roll and Jelly Belly – you know how mean kids can sometimes be. me – So how did you decide to handle that? Grumpy – I knew only sticks and stones could hurt my bones but names cut me to the quick. So I decided to be stronger and meaner and more aggressive than anyone. I became a grumpy bully. me – Are you happy being Grumpy nee Marmalade? I have a friend at court and we could easily change your name legally if you wish. Grumpy – I always wanted to be called Daniel. You know, like Daniel in the Lion’s den. He was strong and smart and people loved him. me – Then Daniel it shall be. Sneezy – Can I be (ah choo) next? me – Absolutely. I think I know your problem. 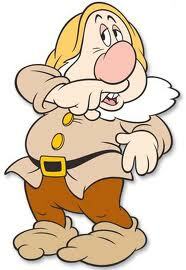 Sneezy – (sniffling) It’s all too obvious, isn’t it. I hate sneezing and sniffling all day. Look at my nose. It’s always red. me – I noticed that. Have you ever seen a doctor for help? 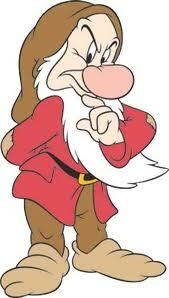 Sneezy – There aren’t any specialists in our woods, only a G.P. And his practice is predominantly gastroenterology. me – Gastroenterology? The digestive system? Sneezy – Yup. Those woods of ours are full of wolves and bears and those bozos will eat anything – even porcupines. me – How do you eat a porcupine? Sneezy (ah choo) – Very carefully! Gotcha! me – You may sneeze a lot my friend, but you haven’t lost your sense of humor. That’s one of the most important faculties to have. You may be allergic to something. Do certain foods make you sneeze and sniffle more? Sneezy – Not that I know. And I don’t have hay fever either. me – I noticed you are wearing a sweater. Is it nylon? Sneezy – No, it’s my favorite sweater – Snow White knitted it for me – from the wool of a sheep. me – Ah, that may be the answer. Perhaps you are allergic to wool. Put your favorite sweater away and start wearing one of nylon or jersey. me – Would someone please wake Sleepy. Sleepy – I’ll have what everyone else is having. me – I think you nodded off. We are still in my office. What issue would you like to discuss? me – Sleepy! Wake up! Sleepy – Time to go? me – We haven’t talked yet. Sleepy – Sorry. It’s difficult for me to stay awake. Right now I’m seeing spots before my eyes. me – Have you seen a doctor? Sleepy – No, just spots! Ha, ha, ha. Sorry. Couldn’t resist it. I once saw a doctor and he said I had narcolep … narkollips … something that makes you sleep a lot. me – Narcolepsy? Excessive daytime sleepiness? me – Sleepy, try to stay awake. What did the doctor prescribe? Sleepy – Bed rest! Ha, ha, ha. me – You are a really funny fellow. Do you take any medication for narcolepsy? Sleepy – I eat an apple. me – Does that keep narcolepsy away. Sleepy – No, but it does keep the doctor away. Ha, ha, ha. 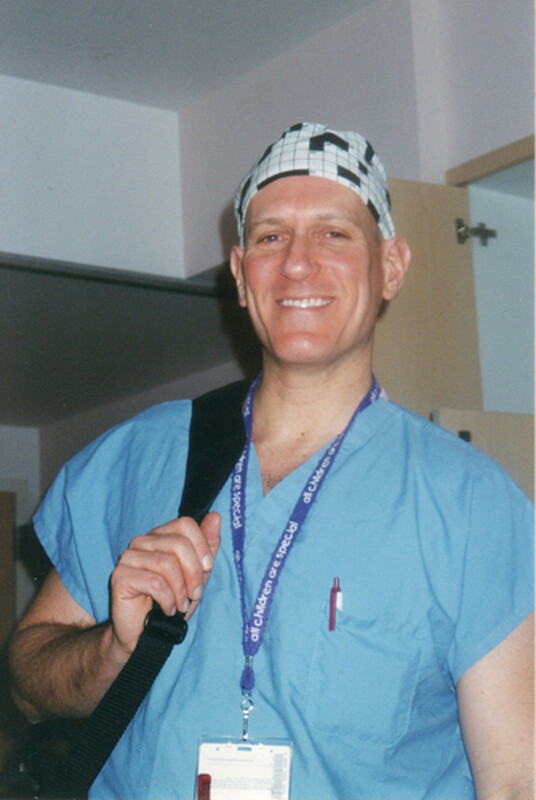 me – I’m going to give you the name and phone number of a physician who you will relate to. me – He moonlights at night doing standup at the Comedy Club. me – Where’s Bashful? Did he leave? Bashful – I’m right here standing behind Doc. me – Have you always been an introvert? Bashful – I beg your pardon. me – No, it’s not a bad thing. I mean shy and a little withdrawn. Bashful – I don’t believe in throwing my weight around. My mother used to say if other dwarfs want to get to know you, they will make the effort. me – Was your mother a strong personality. Bashful – Strong is an understatement. She taught Teddy Roosevelt to charge uphill. She tutored Margaret Thatcher in 'Iron Lady' skills. I was lucky if I could ever get a word in sideways. me – Do you want to make any changes to your personality? Bashful – I don’t want to be the life of the party but I would like to be more at ease with others. me – are you uncomfortable at social gatherings? Bashful – If I don’t know anyone I just go stand at the bar. I don’t drink. I just stand there. me – I understand. One of the first things you can do is learn to be a good listener. We all like to talk to someone who seems to be really listening to us. Who seems to be a friend. Bashful – I can do that. My problem is thinking of something to say. me – Ask questions. That should get others talking and you can jump in when you feel comfortable. Bashful – what kind of questions? me – About current events but be careful about politics. Or books you read or movies you have seen or want to see. Dopey – It’s my turn. My turn now. I do not like the name, Dopey. me – What name would you like? Dopey – I have not yet made a definitive decision. But I no longer wish to be addressed with the appellation of Dopey. It’s odious and ignominious. me – I do believe there may be a wolf in sheep’s clothing on the premises. Dopey – Are you talking to me? Are you talkin’ to ME? me – I have no desire to insult you but you appear to be the antithesis of your given name. Dopey – That’s exactly the problem. I was not born with that name. Disney’s denizens needed a fall guy for comic relief. With my smaller than average frame and sometimes silly grin, I was designated IT! me – What name were you given at birth? 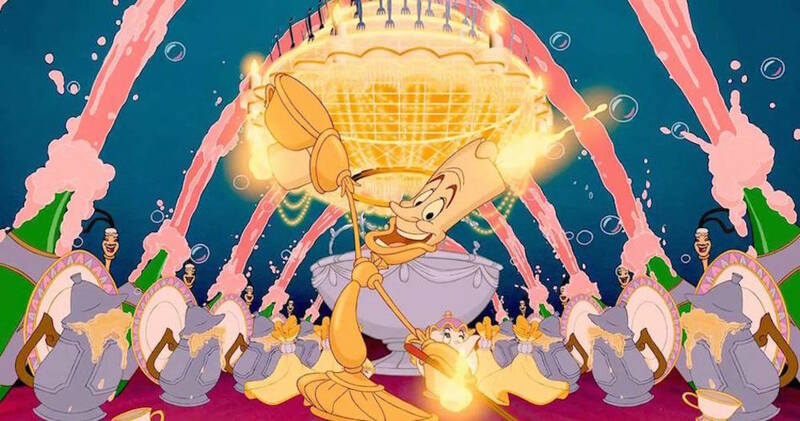 Dopey – Diederich Olivier Penrod III. me – Aha, that’s where the DOPe came from. D.O.P. III – And I’m tired of playing the part of a cretin - a moronic fool. Did you know that I possess advanced degrees – a B.S, an M.S., and a Ph.D.? me – No. In what discipline? D.O.P. III – Bull Sh*!, More Sh*! and Piled High and Deep. me – (sighing) Another comedic dwarf! So why did you agree to play that part in the first place? D.O.P. III – Moolah, Gelt. Big bucks. What else? But I have genuine talent. I plan on taking singing, dancing and acting lessons. No more second banana for me. me – Sounds like a plan. Perhaps it's time for you to show others the real Dopey - I mean DOPe III. Doc – We all appreciate your time and your helpful suggestions. Would you like to go to the movies with us? Our treat. Note: If you have difficulty, like me, remembering the names of all seven dwarfs, here is a mnemonic device to help you: two names begin with S (Sleepy, Sneezy), two begin with D (Doc, Dopey) and the other three are emotions (Bashful, Grumpy, Happy). 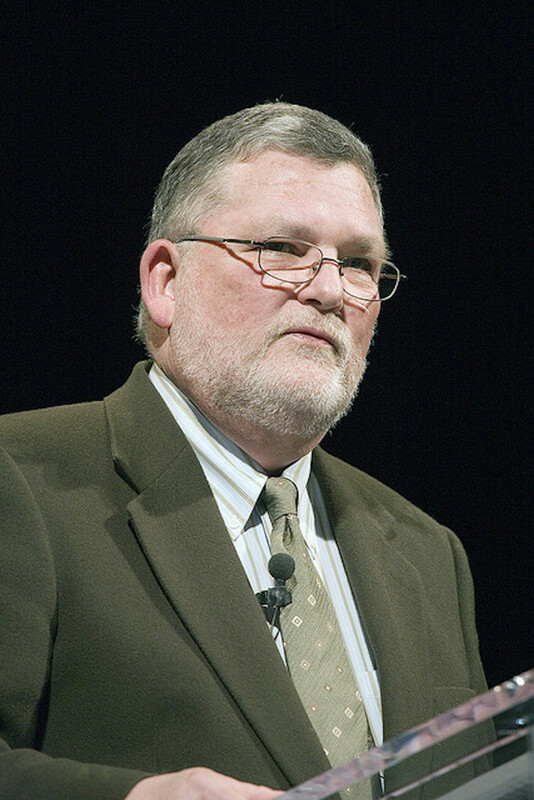 © Copyright BJ Rakow, Ph.D. 2012. All rights reserved. Author,"Much of What You Know about Job Search Just Ain't So." Readers say this book enabled them to write a dynamic resume and cover letter, network effectively, interview professionally, and negotiate assertively. Includes a must-read chapter for older workers. Was Mother Goose a legend or a real person? Read on to discover the amazing facts. Now you can learn the truth about the relationship between Snow White and those Seven Dwarfs from beautiful Snow White herself. Are you surprised that I can interview Mickey Mouse ... the famous international film star who happens to be an anthropomorphic celluloid rodent brought into the world by his creator, Walt Disney? I can and I did! Becca, m'luv, you can count on me for EVERY day. And that is not written lightly. Trust me. How nice to meet you, torrilynn. Thanks for finding my story humorous and witty. Engaging readers is my goal. Thanks for noticing. And thank you for the read, the Up and the sharing. What outstanding compliments, Mary, Thank you. So happy you finally found the Seven Dwarfs. You are absolutely on target when you realized that each one of them had very individual and unique personalities. I agree, Dopey is darn cute, and Disney recognized that appeal when he gave him that charming persona. Thanks for the votes and the sharing, m'dear. Delighted, Rolly, that you found this interview and love your phrase, 'slap me silly.' Will definitely use it somehow sometime. Thanks for discovering the life principles hidden within and loving the interaction. Hugs backatcha, my friend. I am only sad because I missed this when you first posted it. Your sense of humor is only surpassed by your very talented imagination and creativity. Who doesn't love the dwarfs? Each with their unique personality though I have to admit I have a soft spot for Dopey. He's just so darn cute! Voted up, funny, and awesome, oh, and shared! Yes, they would, Chris, and since my diagnoses were made on the basis of real-life clients ... they did! Heh, heh. You know, Dolores, that was one question I forgot to ask the Three Little Pigs. I think I once heard though that the proceeds they received from Disney enabled them to a move to new digs . . . a luxurious condominium . . . on the beach . . . in Aruba. 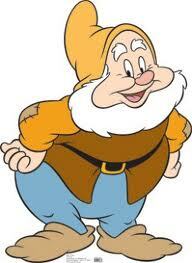 In our very PC society today, they would probably be disturbed by being labeled as either dwarfs or dwarves. To be safe, I'll just call them charming little people as normal (?) as the rest of us. :) Heh, heh. Oooh! What a lovely gigantic hug, Mohan. Thank you. Never ask for forgiveness, my Hubbuddy friend, when you are writing such priceless, inventive, cute, creative, intelligent, well crafted, witty, intelligent adulatory comments. How I love to read both your hubs and your comments, m'dear. You do make my day. Here's to a lovely weekend for you and your family. Hi, molly, it wasn't easy, but they were all eager to make a change. Thank for the visit, the funny, the Up and the buttons. DRBJ, I'm glad you got them straightened out! So funny -- up and buttons! So nice to meet you, Christina. Thanks for appreciating the humor here - hilarious is one of my all-time favorite comments. Thank you, Debbie, for finding this interview, loving it and the 'just adorable.' As well as voting it all the way up. I could not ask for more. Thank you, dear Colin, for sharing this with your FB posting and links. You are not only Hubpages' exceptional epigram-master, you are a lovable amigo, too. Hello, dkm. Of course kids would love this - great idea. Adults seem to be fond of them, too, m'dear. Thank you for the 'delightful' and the 'something special.' You are, too. Kids would love this! You could sell these little interviews. Perfect for Middle School. Yes, this are something special. Delightful! Thank you, Mekenzie, I do appreciate that. How lucky that we found each other! You are too funny!! I placed this hub on pinterest and on twitter .. so if you get traffic from those sites, you'll know why. I will read your other interviews! Thank you, Mekenzie, for being drawn in by my charming writing style. Delighted you had a good laugh and thank you for the up and funny. Do read some of my other interviews and let me know what you think. Interview with Snow White; ... with Zeus; ... with Mickey Mouse ... etc. drbj, This read was charming and very funny. Your writing style drew me right in. 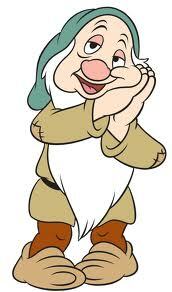 I so enjoyed it and had a good laugh throughout your interview with the adorable dwarfs. You are a very creative writer! my regards back to all the seven little gentlemen for this delighful interview of course. Thank you, becca, for loving this and finding it funny and entertaining. Delighted you enjoyed the dopey part. D.O.P III asked me to send you his regards. all out funny and entertaining, I quite enjoed the "dopey" part! lvoe it love it love it! Colin - Be my guest, you can say that all of the time. And I thank you for linking here from your FB page. Yes, I share that vew, too. We most definitely are kindred spirits. And if you believe as I do that there is no 'going too far' when it comes to writing, then yes, we share the same kind of wit and sensibility. Hope you are not freezing by Lake Erie, my friend. It is 48 degrees here in south Florida - very cold for us. It was entirely my pleasure, Alicia, to help you get to know these intimate details about our beloved Seven Dwarfs. Thank you for your lovely comments which will tend to spur my imagination even further. God knows where that will lead. And SHE ain't talkin'. This is another funny and clever interview, drbj. You have such a great imagination! Thank you for helping me to get know the seven dwarfs better. Hi, Phoebe Pike, Nice to meet you. Delighted I could provide an awesome job with this 'wicked funny, hilarious' hub. Do love your adjectives, you know. Now you only have about 21 more "Interviews" with undead celebrities to read. And you, supers, never cease to amaze me with your amazing, superfine comments. Thank you, m'luv. Delighted you popped by. Nice to meet you, E. Padro. What a delight to wake up your inner child! I'm so happy you found me. A beautiful mind, eh? You do know how to make an outstanding comment, m'dear. Snow White asked me to ask you to read her 'Interview,' too. Hi, Kelly. So happy you laughed at the Oz remark - one of my brighter inspirations. Thank you for finding this very entertaining. Me, too. No false humility here. 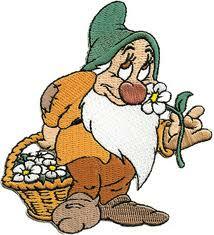 As far as encouraging all seven dwarfs to visit me, Snow did the groundwork. She promised them free psychological evaluations. Now that was brilliant! Welcome, girltalksshop, how nice to meet you. Delighted this is one of yur favorite fairy tales. Thanks for the gracious comments and the up. Don't forget to stop by 'Interview with Snow White' and let me know your thoughts. Another hilarious hub! Awesome job, it was wicked funny. You are amazing and never cease to amaze me! What a Superfine writer!!!! What a great story, Becky! Hope your hubby got their autographs. Isn't it strange how sometimes the answers to life's perplexing questions are right under our noses ... or in this case, over our heads? Great Hub! You know how to wake up the inner child in all of us. I'm happy I found your hubs. You have a beautiful mind! Dr. Oz - brother of the Wizard - lol lol! That jack and his magic beans! Very entertaining....I do not know how you encouraged all 7 dwarfs to visit at once! Brilliant! How nice to meet you, ishwaryaa. Thank you for finding the Seven Dwarfs and me. 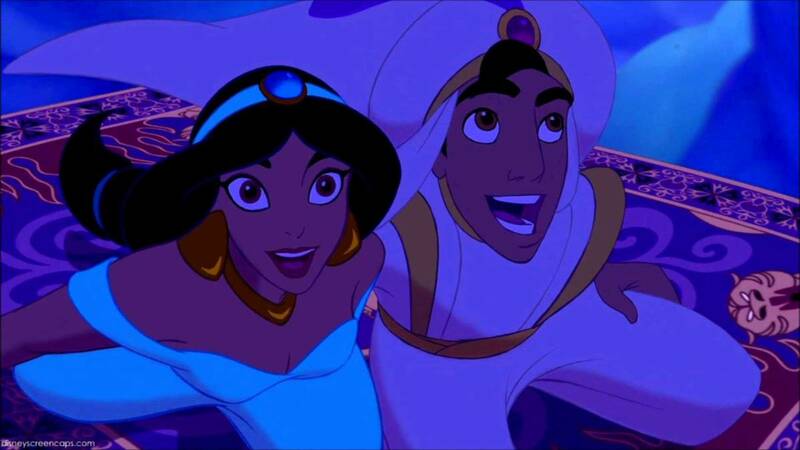 So you are a fan of Disney animated films? Me, too. I have long admired Walt's creativity, ingenuity and risk-taking skills. Thank you for appreciating my pschological assessment of the dwarfs. I could not resist. Happy to have piqued your interest. You might also like to read "Interview with Snow White" and "Interview with Mickey Mouse." Please let me know what you think. Thank you for your engaging comments and the Up. Oh, Audrey, I'm delighted that the Seven Dwarfs are among your most favorite people. They are thrilled to pieces and DOPe is beside himself. Don't be surprised if he sends you a gigantic Valentine. He especially appreciates that Einstein remark. He has been so little recognized (pun time) for so long. Thank you for the 'Oscar and Absolute genius' remarks. Feel free to cast as many votes as you wish. Love your 'Straight up and all across' comment. The trip back in time was my pleasure, m'luv. And thank you for the FB link. You ARE a sweetheart! Good interview with the seven little darlings. I see you didn't get them to tell you their most embarrassing moments. My husband ran up on Grumpy and Dopey when he was a Sheriff's Deputy. They were locked out of the car and needed help getting it unlocked. He reached into the convertible, with the top down and unlocked the door. They could not reach over the side. I enjoyed reading this engaging interview with seven dwarfs. I am a fan of Walt disney animated films! You peaked up my interest by building the conversation with each dwarf according to their distinctive personalities. Well-done! Funny and Interesting! Vote-up! Absolute genius! You have interviewed my 7 most favorite people in all the world. 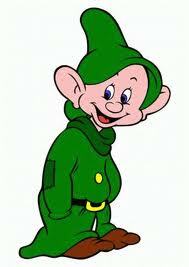 Dopey is the one I identify the most with :) He and I understand each other. Between his brain and mine...why we even out-class Einstein! You deserve an oscar for this award-winning interview. I am casting my vote right now. Straight up and all across for this tremendous trip back in time! And posting this on my facebook page with a direct link back to you. What a nice surprise to see you here, Eddy. Thank you for your gracious comments. And an up, up and away? My bowl runneth over. Had to discard the cup - 'twasn't large enough. You take care, too. Brilliant I really loved this one and your hard work certainly paid off. A true gem which I have to award that up up and away to. I had to read through your hub and glad I did. Love the humor and wit on a favorite fairytale. I always have trouble remembering the seven dwarves names and now I will remember your little tip. Wonderfully entertaining as always. Your skill in writing these unique, funny interviews is unsurpassed! I enjoyed this hub very much. How nice to meet you, Pikachusif. Especially since you have such a lovely way with words. 'Simply magnificent' and 'marvelous storytelling skills" ... wow, you DO know the right things to say, ... er, write. I will try to maintain the standard of excellence I have set for myself. Let me know, my dear, if I fail to achieve it. Would be happy to know what you think of my "Interview with Snow White" and the other 20 or so Interviews I have penned to date. Hi, tip. If the laughing wore off, just read it again, my dear. Heh, heh. So you think you are more like Doc. Then you might like to read my hubs on "Assertive Behavior," "Assertive Training Course" and "Abilene Paradox." Just suggestin'. Delighted I was able to share the laugh - it's the only way to go. Magnificent, simply magnificent! You seem to have marvelous storytelling skills, and I must say that it is quite rare that I give compliments such as this. Keep up the fine work! Hi, Rosemary, now you've made my day twice with your return. That "Double the fun" remark would make a great chewing gum motto. Oh, wait it already has ... about a century ago. Delighted I could provide a few more giggles again and with the comment responses as well. Take one of my hubs every day before breakfast and you'll have a silly smile on your face all day long. Trust me. Others will start wondering what you're up to! I am in the process of voting with all my heart and power that you get to be Happy, CM, and remain in that delightful state now and forever more. How's that? I think that the Law of Attraction can work if we are not too unrealistic about what we really want and willing to work like the devil to get it. Grumpy is a changed dwarf. He realizes that mean doesn't pay off. Thank you, m'dear, for the 'very funny as always.' You are very kind ... as always. "Magnificent and worth the 5 Stars I gave you for your creativity being on display once again." You do have a way with words, Frog, and I thank you for each one of them. One of my very best? Thank you, thank you, christopher. You are right; technically it was 7 interviews - although all rolled up into one. No thanks are necessary for the 'great laughs' - entirely my pleasure, m'dear. Yes, Hilary, the dwarfs ARE the perfect dysfunctional family. You can name a personality flaw and one of them has it for sure. Thank you, m'luv, for the Up and very funny. You know, bp, I didn't think of them like that. But yes, you are so right. 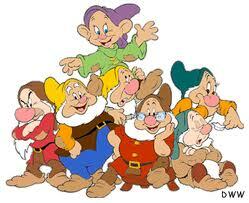 The seven dwarfs are just like a dysfunctional Brady Bunch - just less kids. Thank you for the very funny and the Up, m'dear. Hi, pras, thanks as always for your visit from so far, far away. And thanks for loving my hub and writing. I love your hubs, too, you know. Thanks, too, for the up. Had a giggle reading the hub yesterday and back today to have another giggle on reading your response to comments. Vote that I get to be Happy drbj! Someone called Happy must get to live happily ever after. If the Law of Attraction really works Grumpy deserves everything he gets. Very funny as always. That was one of your very best, although technically it was seven interviews. Thanks for some great laughs. How clever of you, Alastar, and how sweet to convey Happy's sentiments about me. We did get along extremely well since we both seem to share that optimist/positivist gene. Don't groan, m'dear, I love it. You've made MY day with your kind comments. Hi, Rosemary, thank you for loving these interviews and your sweet words. Delighted to give you a good laugh. And Bashful sends his regards. Wants to let you know he's not living at home any more. His mom took a new job - she's the live-in Warden of the Prison for Hardened Criminals. I think I feel sorry for those guys. Hi, Ruby. Thank you for enjoying this immensely. What a nice thing to say ... 'my imagination is soaring.' There's a lot of truth to that you know. While I am composing these Celebrity Interviews, I often have to tell myself (everyone talks to themselves, right?) wait a minute, you're going too far - beyond the bounds of what is reasonable. But then again, beyond the boundaries is what I enjoy. I'll have to tweet Dr. Oz. I'll tell him you sent me. Hi, Feline, sweetie. I knew perceptive you would pick up on those few little life lessons. You asked: 'is there no end to your talents?' My answer: Not yet! Thank you, Trish, for finding this fun. Sneezy saw your avatar and wants to know if both those photos are of you or if one is a photo of a friend. If so, Sleepy wants to meet you, too. I showed your comment to all seven dwarfs, Martie, and they are clamoring for your address. They are so enthusiastic about the possibility of you spending time with them and as you promised, "bringing out the best in each and everyone." Each one of the dwarfs is a charmer and I'm not surprised to learn that Happy is your role model and that you believe you may resemble Doc. Thank you, my faraway friend, for those sincere comments. You are the bestest, too, you know. Delighted, HuG, to see you here, and I always look forward to your comments. Especially when you 'loooooooooove' my Interviews. It's true, Jaye, I like to think I have an imagination without boundaries ... wait a minute, I think that same definition holds true for insanity. Whatever. Anyway, thank you for your visit and your gracious comments. Six dwarfs thank you, too. The seventh is sleeping. Thank you, Dex, for those sublime words. Amazing, am I? Well you know what they say ... it takes one to know one. Not sure exactly what that means but I think it's a compliment. Magnificent and worth the 5 Stars I gave you for your creativity being on display once again. Hi Doc. I liked Dopey's interview the best too since you have been the first to get a word out of him. (kinda like Teller in the Penn & Teller team). Odious and ignominious?...Dopey's intelligence and word mastery is second only to your own! Cheers! I always like those dwarfs. They are just like the perfect dysfunctional family! Up and very, funny. I'll always love your hub. I can't imagine make a hub like this. Thank you very much for writing. Rated up! Did a little side interview with Happy Drbj; at the end of the interview he pulled out a mirror and this is what he said: Mirror, mirror in the hand, who's the funniest in HubPage land? And the mirror said: Why, Drbj of course, I certainly say, she's the one that makes my day!~Grrooaan...but true! Haha You are just the best. I love these interviews. Loved bashful's description of his Mom. Thank you once again for such a good laugh. Your imagination is soarig..You are soo good at interviewing celebs. Enjoyed immensely..Dr. Oz would love this.. Happy is, of course, my role model. And I do make poor choices while I’m not even as happy as he is.... (sigh). But then I am so much like Doc, but thank heavens also re-tired. Thanks a lot for a most enjoyable read. You are the best of the bests! Your imagination knows no bounds, Dr. BJ. What a delightful interview with the height-challenged seven! Dr. BJ! Oh my gosh! You have done it again! Another winning interview! You are simply amazing! So cute!! I loved it.